Growing up in the Berkshires of Massachusetts and in Maine, winter meant boots, mittens snow-pants, and scarves. My mom would wrap the scarf across my face and around my neck, and tie it behind my head. (I now bless my own kids with this ritual). Remember? They were so pretty, and and extra long and fun, I would actually want to wear them. And I couldn’t believe what difference having something warm around my neck made in the cooling fall weather. I wear them through 3 seasons. I wear them with my shirt in the house (and warm socks), and I can just add warm sweater when I go out. No more winter coats in October! I have been seeing some scarves on people lately, that are a cross between the gauzy fashion-scarf and something a little heavier and warmer. But I love the extra warmth of knit scarves. I think I need to add another one to my collection! Are you a scarf person? I love scarves too! Your 31 days are going great so far. Keep up the good work! Yes! 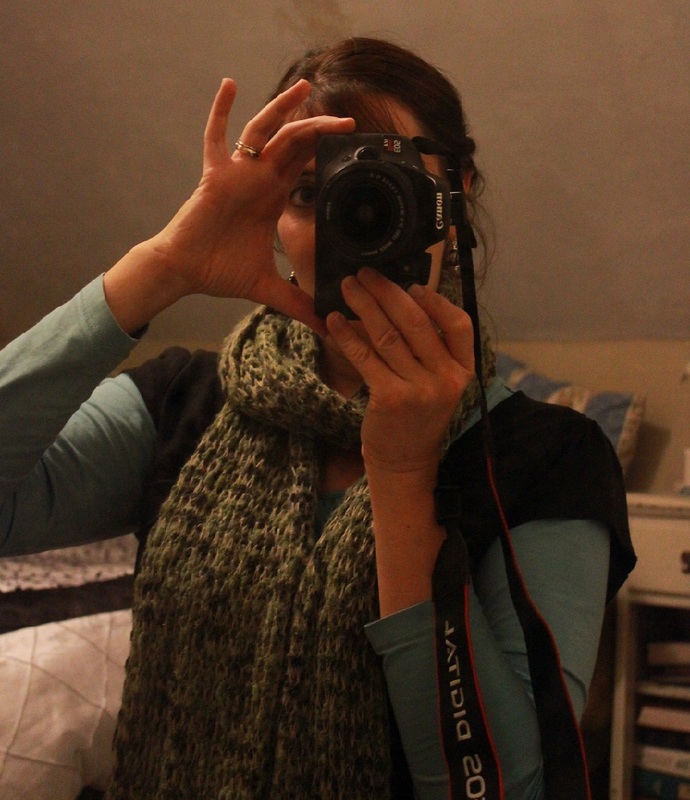 I’ve been wearing scarves in the house more too, for the warmth factor. I’ve cut off the bottom of a few t-shirts (thank you pinterest) that have colors I like and then they double up nicely as an infinity scarf that stays out of the way while I’m going about my day with little ones. Gives me extra scarves, on the cheap.